The National Police have arrested a 36 year old man from the United Kingdom in Xàbia, who was wanted by the authorities for committing several assaults with a knife in a Liverpool bar. The assault began with a simple discussion between two customers which eventually turned into an argument and then a violent attack. The detainee took out a knife and inflicted several cuts on his victim’s face, at which point several other customers came to his aid. But far from calming the situation they too were attacked by the defendant, who was only stopped by a doorman who was able to remove him from the premises. The initial victim needed more than 100 stitches to his face, leaving him with both physical and mental scars, whilst those who went to his aid suffered slight injuries from the knife. The arrest was carried out by the Judicial Police Brigade of the Provincial Commissariat of Alicante. 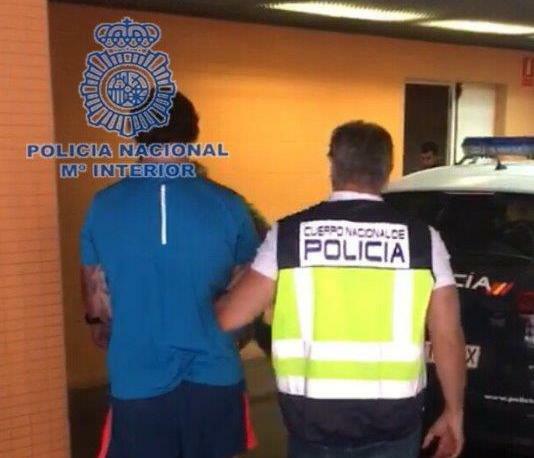 The agents discovered the fugitive residing in a house in Xàbia, so, following surveillance, he was finally arrested on Tuesday. He has now been placed at the disposal of the Audiencia Nacional in Madrid who will carry out the implementation of the European Arrest Warrant issued by the United Kingdom.